One of the many benefits of being part of the Best Practices network is the ability to share information with prosecutors across the country about promising programs and how to implement them. 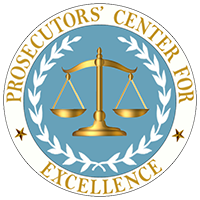 Prosecutors’ Center for Excellence (PCE) held a two-day conference in Boston on July 19 and 20, 2016 with prosecutors from 17 states in attendance. One topic was how to create community programs on a shoe string.